The 2015 Rugby World Cup is almost here, and rugby betting fans are looking forward to six weeks of hard-hitting action. There's no shortage of possible bets with so many intriguing games on the horizon, but where is the 'smart money' going? Read on for a tournament preview and some top tips. All Blacks or England to Dominate? New Zealand are, unsurprisingly, hot favourites to lift the trophy once again. The reigning world champions always shoulder weighty expectations, and this year is no exception: the All Blacks are attracting odds of 13/10 at Coral Sports. With top players like Richie McCaw and Ma'a Nonu at the ready, it's easy to see why everyone expects the Kiwis to perform. It's worth noting, however, that the team couldn't be further from home and that the tournament's Northern Hemisphere location may not be to New Zealand's liking. History isn't on their side either – no team has ever claimed back-to-back Rugby World Cup titles. If New Zealand struggle to live up to the hype, England might well be the team to capitalise. Stuart Lancaster's team are attracting odds of 9/2 with William Hill Sports, and are already second-favourites to win the trophy. The team played well in their last warm-up game against Ireland, and will hope to re-create their 2003 championship-winning form when they take on Fiji at Twickenham on September 18th. New Zealand and England are not the only teams with world titles to their name. South Africa, the 1995 and 2007 World Cup champions, are currently third-favourites with odds of 6/1 at Betfred Sports. The Springboks have struggled to hit top form during the build-up to the tournament, and have been receiving some harsh criticism from the media at home. In spite of this bad press, however, it is possible that South Africa's experience of high level competition will allow them to deal with the pressure and push on to a third World Cup victory. Experts also think that Australia, who won the tournament twice in the 90s, could excel on rugby's biggest stage once more. Though it'll be hard to beat New Zealand, the Wallabies' chances are vastly improved by the presence of star fullback Israel Folau. Back them at Ladbrokes Sports with odds of 7/1. Could France be the Surprise Package? Punters looking for a good outside bet may be interested in France. The French seem to have been largely overlooked in the pre-tournament chatter, possibly due to their poor showing in this year's Six Nations. While it is true that 2015 has not been a great year for the side, seasoned rugby historians will remember that France has not failed to reach the last four of a World Cup since 1991. They even made it to the final last time around, so it's worth taking a close look at William Hill Sports' odds of 7/1 for France to be finalists again. William Hill Sports also have Philippe Saint-Andre's team at an appealing 14/1 to go one better and win the tournament. With several match-ups promising plenty of free-flowing rugby, the Top Tryscorer market is worth a look. New Zealand's Julian Savea is odds-on favourite with 5/1 at Bet365 Sports, and it's not hard to see why; the 25-year-old phenom has scored 30 tries in 33 tests. Nehe Milner-Skudder, another All Black sensation, is second favourite at 9/1 with Betfred Sports. Coming in at third favourite with odds of 11/1 is South Africa's Bryan Habana who'll be playing in his third World Cup, while Australia's Folau can also be backed at 8/1 with Coral Sports. Jonathan Joseph of England, who scored four tries in five games during England's last Six Nations campaign, is priced at 25/1 by Ladbrokes Sports. Brimming with anticipation and can't wait for this year's action to start? 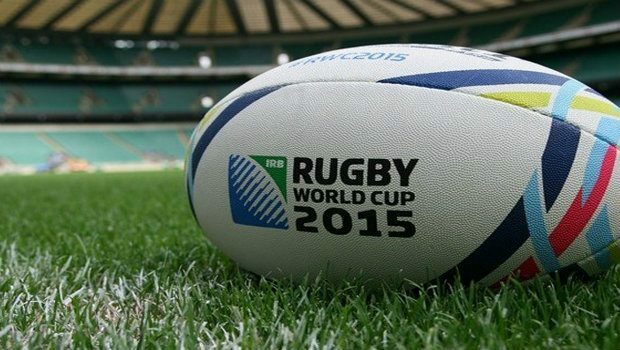 Head over to Coral Sports today and pass the time with some Rugby World Cup betting!